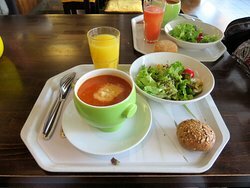 Had a medium soup and small salad for lunch. Healthy alternative to sandwiches and burgers. Great vegetarian options. 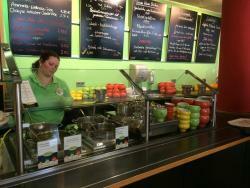 Large variety of fresh home made soups. Tasty and quite cheap. Charming place to have a quick lunch/snack - not necessarily for a longer hang-out. 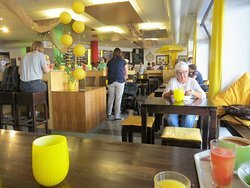 If you like soup than Suppengruen is a must during your visit in Constance! 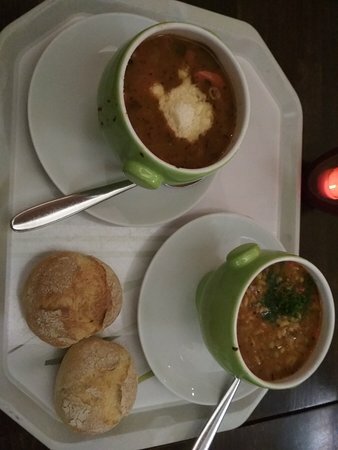 The choise of soups is "endless", the Variation of tasts is wide and the Prices are fair. A must in Constance! 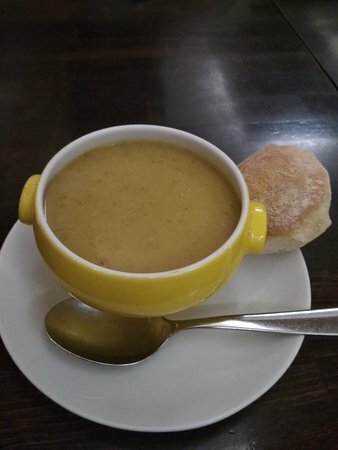 If you want to eat a great soup that's the place to go. It's cheap, well-situated and the menu changes very often. 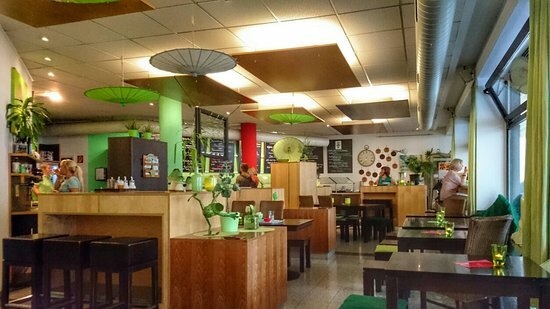 Nice place with good variety of soups and salads. Self service place. Nice fresh/green atmosphere with outside sitting. Get quick answers from Suppengrun staff and past visitors.